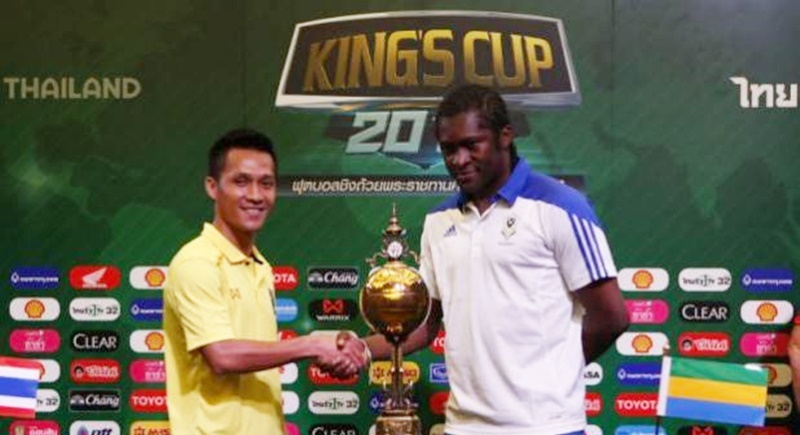 FOOTBALL: As two-time defending champions Thailand prepared to kick off their 46th King’s Cup campaign against Gabon tonight, the nation’s most prestigious tournament was robbed of some of its magic after star players of all three visiting teams pulled out for one reason or another. The War Elephants, coached by Milovan Rajevac, take on the African side, who will be without Arsenal forward Pierre-Emerick Aubameyang following his grandmother’s passing. Meanwhile Slovakia and the United Arab Emirates, who are due to square off in the opening match at Rajamagala National Stadium today (Mar 22), will have to make do without the likes of Marek Hamsik (injury), Omar Abdulrahman and Ali Mabkhout (disciplinary action). The absence of these big names should help Rajevac in his efforts to lead the Kingdom to their third straight King’s Cup title. “This year the King’s Cup tournament is full of top teams. Every team is strong,” said the Serbian coach. Rajevac added that the team’s four foreign-based players – Chanathip Songkrasin, Teerasil Dangda, Theerathon Bunmathan (Japan) and Kawin Thamsatchanan (Belgium) – are all fit and ready to play. “The players that are playing in Japan and Belgium are all fit and have adapted themselves to the tactics very well. Their experience of playing overseas will benefit the national team. “Our preparations have gone well. All the players are fit and have a great attitude. They all want to play in this competition. Gabon coach Jose Antonio Camacho remembered the time when his China team lost to Thailand, then under coach Kiatisak Senamuang. “Many years ago, I was with the Chinese national team and we played Thailand. Thailand are a great team. Many players have great pace. Former Liverpool centre-back Martin Skrtel will skipper the Slovakia side against the UAE in the first match today. UAE coach Alberto Zaccheroni insisted his team are ready for the event despite dropping their star players Abdulrahman and Mabkhout for leaving the team’s hotel in Kuwait without permission. Today’s matches will be shown live on Thai Rath TV (channel 32) at 4:30pm and 7:30pm.